Our agency now operates within the C&S Insurance family. Please rest assured all the same familiar faces will still be here to support you. Frank Walley III will retain his role as president and continue to oversee the Dedham office. Likewise, our experienced team of agents will remain unchanged. Best of all: the merge will bring you more insurance carriers to choose from—when shopping for home, auto, or business coverage—which in turn brings more savings opportunities. Teaming up with C&S also ensures we'll have the capacity to serve you and your family for many years to come. 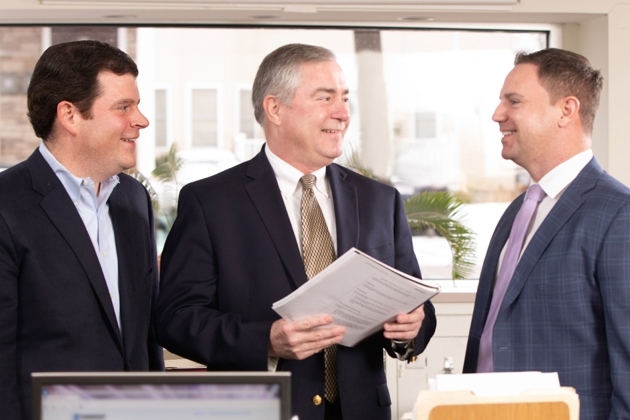 Walley Insurance was founded in 1922 by Francis M Walley, Sr. What began as a small operation, run from the family's parlor, soon grew into a thriving agency, serving customers throughout the Dedham area and beyond. In the 1940's F.M. Walley moved to its current headquarters at 475 High Street. In 1955, Frank Walley Jr. joined the operation full-time, after serving his country as a naval aviator. Frank Walley III came aboard in 1983 and became Walley's president in 1994. F.M. Walley now insures the fourth generation of our original Dedham customers, along with many commercial and personal customers throughout eastern Massachusetts.